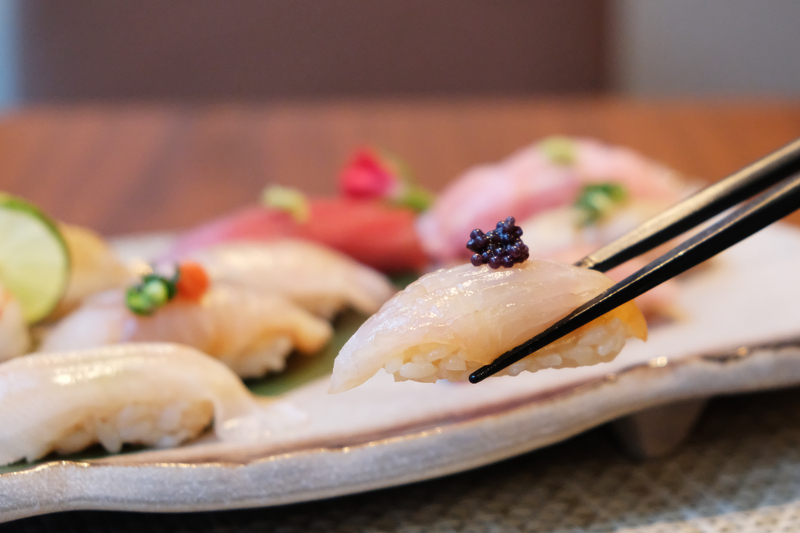 Located at the popular nightlife district of Knutsford Terrace in Tsim Sha Tsui is Hanabi – a high-end Japanese restaurant that serves up value-for-money Omakase menus. ‘Hanabi’ is the Japanese word for fireworks, which symbolises the melding of traditional and modern Japanese-style cooking. With sashimi that is shipped daily, the lunch sets are guaranteed to cater to all types of palates. We had the privilege of trying the Chef’s Special Lunch Omakase, and Chef Chan didn’t disappoint. We were treated to the day’s best produce with high-quality sashimi, grilled fish, and sushi, alongside the seasonal Koubakogani crab – which was both flavourful and fresh. Another of our favourites was the Sake Boiled Fukuoka Black Abalone with Sauce, that comes served with the dark green abalone liver paste. Other highlights to try include the Tuna Don, which comes served with different cuts of Tuna, including Otoro, Chu-Toro, and Maguro – a perfect mix of texture and taste, all in one bowl. It goes especially well with their specially selected Japanese rice that’s topped with burdock powder, sesame, and seaweed. Alternatively, try the sushi set, which features 12 pieces of sushi and handrolls. Apart from the variety of items served, it even comes with an appetiser, salad, Chawanmushi, miso soup, and dessert! 【Limited Time Offer】Before 22nd January 2019, enter the promo code HANABI10 to enjoy 10% off the food bill during lunch/dinner when you book at Hanabi via the Chope app! Forget store-bought cheese; get yours at The Mast’ of Mozzarella & CO.!